Up to twelve million driving licence holders receive a penalty notice each year – the equivalent of one every 2.5 seconds. This means as many as a third (30%) of Britain’s 40 million drivers now receive a penalty notice annually. 2.5 million local authority bus lane and box junction penalties, etc. 500,000 late licensing and insurance penalties, etc. 1 million speeding and red-light penalties, etc. The total of 12 million does not include the annual figure of 1.2 million drivers now undertaking a speed awareness course instead of receiving a penalty and points on their licences. A further 200,000 drivers a year attend other types of courses having committed other types of offences. Nor do the figures include the five million parking penalties issued to drivers on private land each year. Cameras are routinely used not only to catch speeding motorists but also those who enter bus lanes or make illegal turns at junctions. 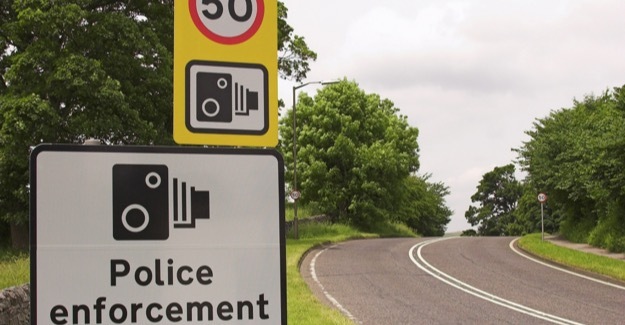 In 2015, 90% of all speeding offences were captured by camera. The trends are highlighted in a report – Automated Road Traffic Enforcement: Regulation, Governance and Use – for the RAC Foundation by Dr Adam Snow, a lecturer in criminology at Liverpool Hope University. Between 2010 and 2014 the number of dedicated police traffic officers fell by 24%. This reduction has coincided with a period which has seen a dramatic fall in the cost of automatic enforcement technology. In 2000, it cost £1.5 million for a set of average speed cameras to cover a mile of road. Today it is around £100,000 per mile. Dr Snow notes that while cameras are immune to matters of “colour, religion, race, gender and so on” they cannot provide either discretion or common sense. He says that, in general, road traffic enforcement has two aims: preserving public safety and the effective management of the road network. He argues that when activities that vary in the risk or the harm they cause are punished in the same way then it offends the public’s sense of proportionality, and hence fairness, and can lead to mistrust.